On Monday, March 18th, the Van Vleck ISD Board of Trustees approved the GMP (Guaranteed Maximum Price) of $20,991,690 for our new elementary school. Our trustees and administration are once again pleased that our GMP price came in under budget. 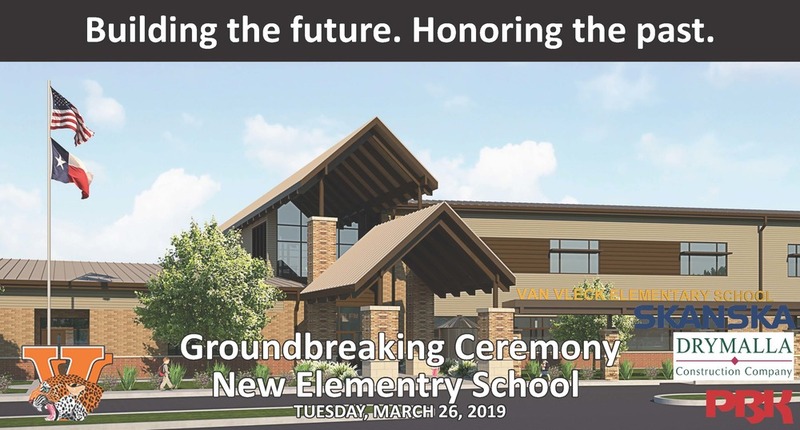 Superintendent John R. O'Brien informed the Board that the groundbreaking ceremony for the new elementary school will be Tuesday, March 26th at 2 pm behind the elementary school. A Notice to Proceed with construction has been issued, and could begin as soon as Wednesday, March 20th. The District is asking parents and community to please be patient as we move forward into the construction phase of the elementary school. Noticeable changes will start tomorrow (March 20th) with Parent Drop-off & Pick-up will be moved to E. Rudd Intermediate for both campuses. Below is a traffic flow map with an explanation of changes that will start tomorrow. If you are coming from the east or west on Hwy 35, turn at the light and proceed toward Van Vleck High School on FM 2540. 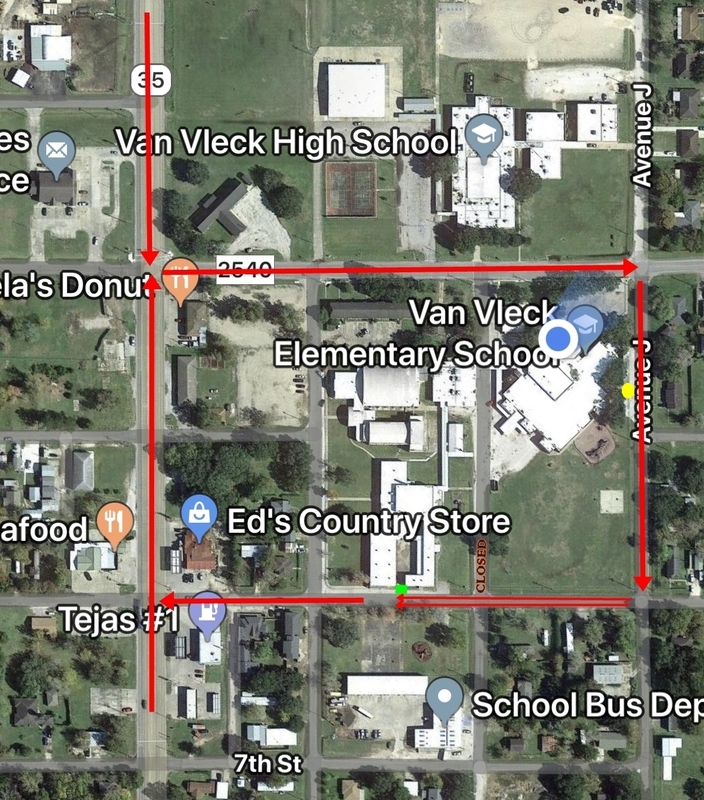 To enter the car-rider line for Van Vleck Elementary and E. Rudd Intermediate, you will turn onto Ave. J and drive by the Bus Drop Off area (YELLOW CIRCLE) for Van Vleck Elementary and turn right onto 6th Street. Once on 6th Street, you will form 2 lines to pick up your student next to E. Rudd Intermediate (GREEN SQUARE). Both VV Elementary & E. Rudd Intermediate car riders will be dropped off and picked up at E. Rudd Intermediate. Lastly you will exit straight to Hwy. 35 from 6th Street. Vehicles can only enter parent drop off & pick-up on Ave. J via FM 2540. If you have any questions, please contact your child's campus office.